I guess you can call this our first “official” blog for bozoomer. You may know that “Baby Boomers are referred to those born between 1946 and 1964 and “Zoomers” are the health conscious 45 and over group. Thus – bozoomer. So this first writing is somewhat important. What do you start with? Actually it turned out to be an easy answer. Please note: The following has nothing to do with a political movement. Did you ever ask yourself, “what the heck are Free Radicals?” So I asked a number of friends, what do Free Radicals mean to you? Based on the responses, a topic is born. The more people that understand about “Free Radicals” they’ll want to tell their friends and everyone starts to see the importance of taking care of their bodies or should I say their lives. 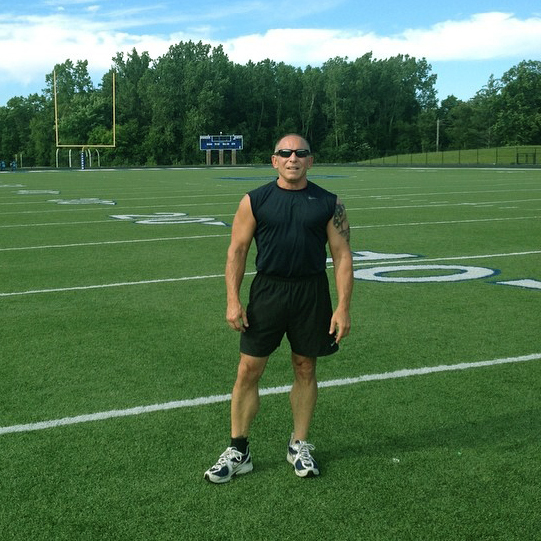 Michael DuBay – 105 yards of bear crawls for my 60th Birthday! Back to the Future in our science classroom we learned about atoms, molecules and electrons. The term Free Radicals was first used in 1900 but general public never knew as our living environment was just starting to have a negative change. With that being said, a Free Radical is an atom or molecule with an un-paired electron. When the hot spot of every cell burns glucose for fuel, the glucose becomes oxidized making “free radicals”. Take a breath, you just inhaled a number of chemicals – burnt jet fuel, air pollution from cars and factories, gases released from your carpet, ect. Foods grown in chemically treated soil, processed food, chemically manufactured preservatives, deodorants, shampoos, hair products add toxins to our system and more free radicals. In fact, because of the use of chemical fertilizers we have effectively broken the sulfur cycle in countries that use these herbicides and pesticides . If we don’t control these we are causing major problems in our bodies. Free Radicals are very reactive and they need to find an electron any way it can. They usually attach to another molecule and turning that molecule into a free radical as well. This goes on and on destroying healthy tissue. What’s another term that we hear about everyday but not really sure what it is? Let’s try Antioxidants. They neutralize Free Radicals – if they were getting paid that’s what they get paid for. These molecules (supplements, fruits, vegetables), actually sacrifice themselves by giving Free Radicals the electron it needs thus stopping this chain reaction and reducing oxidative stress. Oxidative Stress – So, when free radical production exceeds antioxidant defenses you have oxidative stress. Even though our bodies need some free radicals to function, Antioxidants must even them out or oxidative stress occurs. Without any question, Oxidative Stress is the main cause of over 70 chronic diseases. Like heart disease, cancer, diabetes, stroke, arthritis, dementia, Alzheimer’s, macular degeneration, lupus, MS and more. So, if we control Free Radicals, we can reduce oxidative stress and also reduce the risk of diseases and slow down the aging process. Because of our food chain and environment, diet alone is not enough. Supplements are exactly what they say that they are. They supplement a good diet.